4-month-old Sadia has been diagnosed with a severe liver disease called Decompensated Liver Disease. She needs to urgently undergo a liver transplant in order to survive. The total cost of the transplant is 16 lakh Rs. 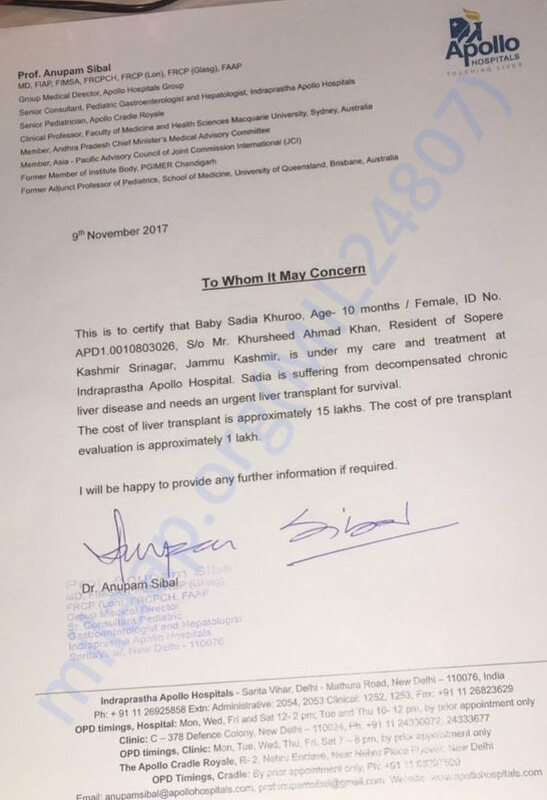 Unfortunately, Sadia does not have the funds to undergo the treatment and needs our help to save his daughter. Your contribution can help save Sadia's life. Saida passed away yesterday (6th December). 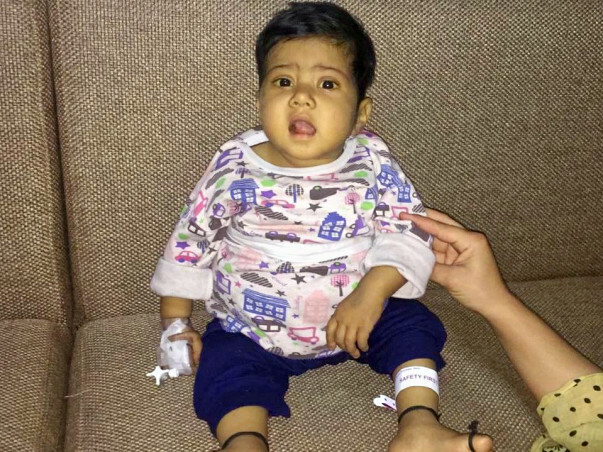 Our hearts go out to this brave child who endured so much pain and fought so hard for her life but due to the severity of her condition she was unable to make it. Your timely support ensured that she received the best medical care. Funds from the campaign will be utilized for bills incurred by the family for Saida's treatment. The family is grateful for all the care and support you’ve shown Sadia. The past few days have been the most difficult ones for the family. We hope they find strength in this time of grief. May Sadia's soul find peace. Please keep the family in your prayers.